The mouse and you move as one. 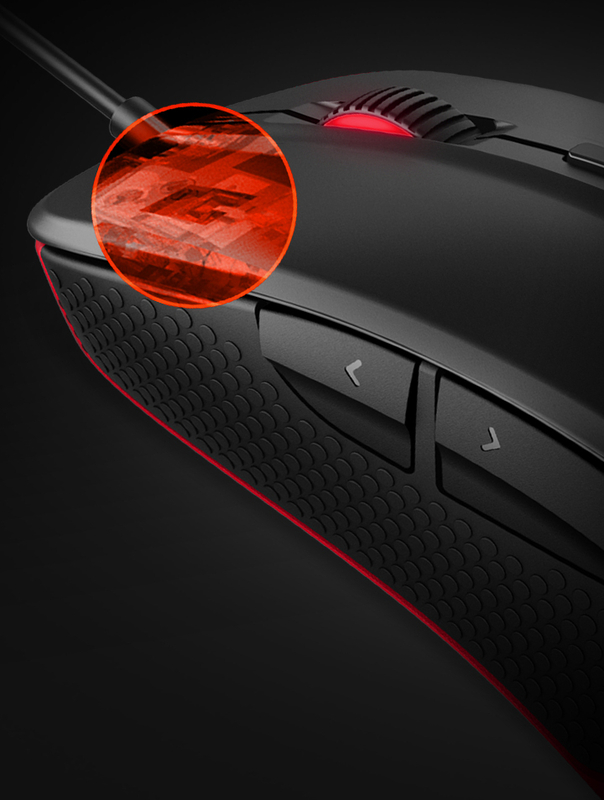 Maneuvers are fluid, tactile and tracked in true 1:1 precision. 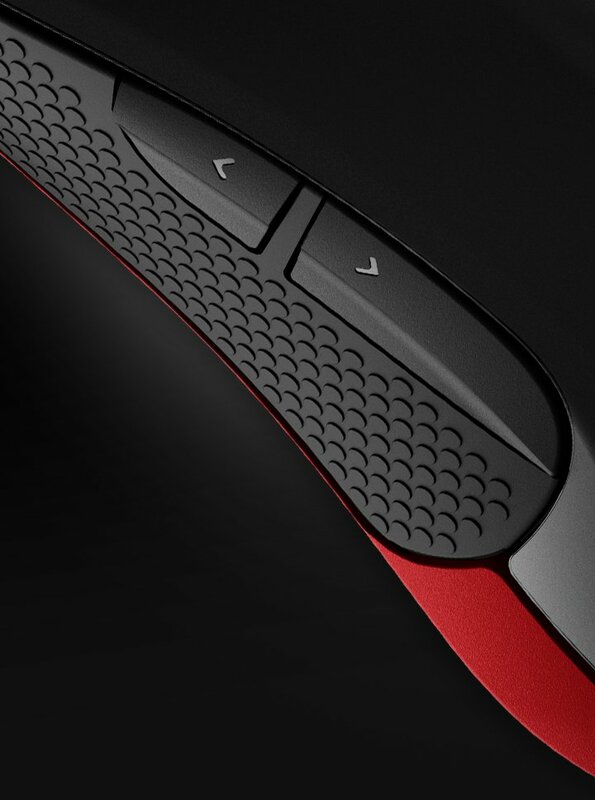 Every swipe matters, every aim precise. Grow your skill with Predator’s 6500 CPI, 200 IPS and 1ms response time. Have faith in the craft. Durable Steelseries™ switches are meant to last and have a 30-million click life time. No pain, all gain. 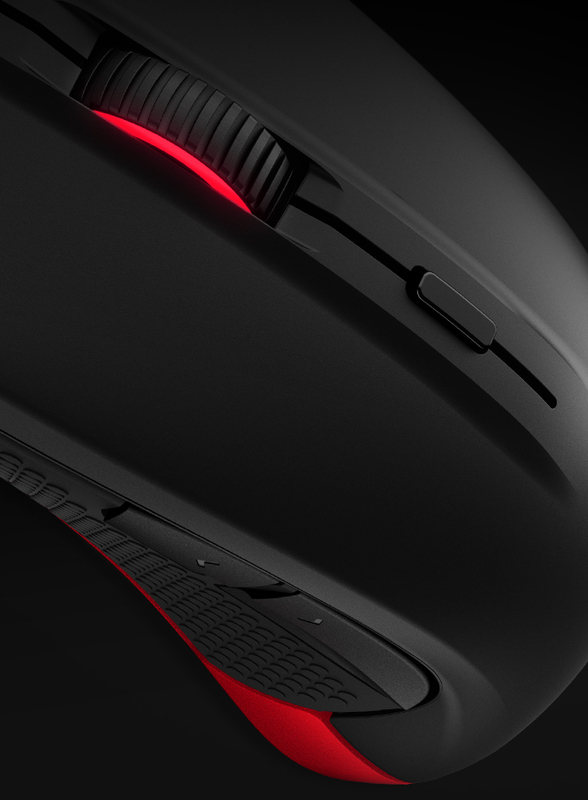 Rest your hand upon its back and game away in exquisite ergonomic bliss. Hold on tight and don’t let go. 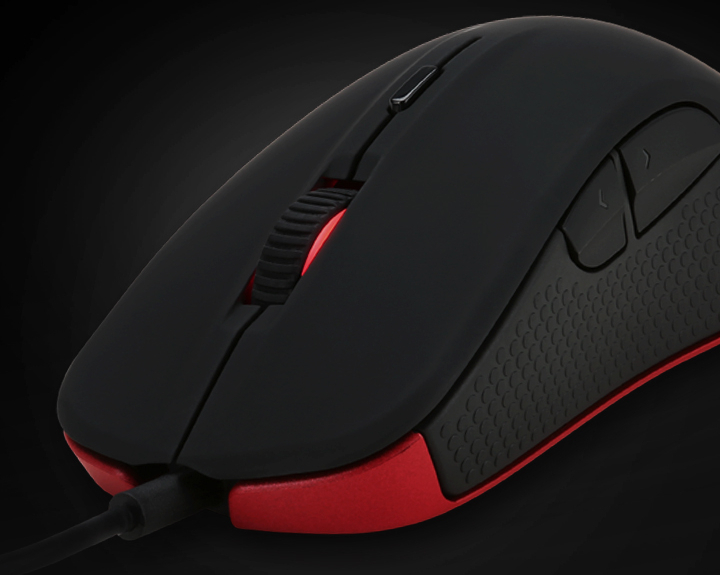 Textured side grips and ergo-buttons keep your hand in a natural position.